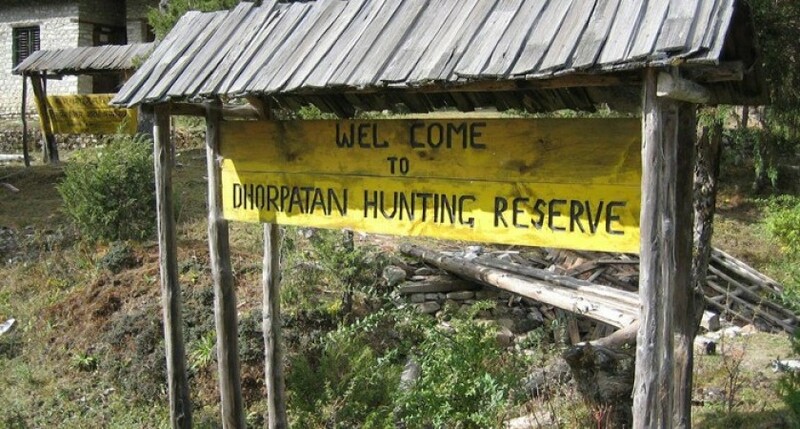 BAGLUNG, July 01: Dhorpatan Hunting Reserve has started taking action on illegally encroached land on its premises. The reserve office has informed that in the past two years, it has taken back 28 hectares of land, leaving 350 more of which is still under illegal occupation. Locals have been illegally encroaching upon reserve land for decades. Chief Conservation Official of the hunting reserve, Ananath Baral said that encroachments have been there since before the time of the hunting reserve was created. "In addition to the older encroachments, the illegal encroachment has increased during the time of insurgency," he said. The Dhorpatan Hunting Reserve, which is spread across Baglung, Rukum, and Myagdi districts, has seen the greatest amount of encroachment in Baglung. In previous times, people involved in illegal occupation have been protected by political parties, locals report. With the involvement of the Nepal Army in preservation efforts, acts of illegal encroachment have decreased.